I’ve enjoyed studying along with you all month! Now it’s time for a giveaway! First, I would like to give all of you a copy of Romans 8:1 that I lettered. Post this somewhere where you will keep seeing it — and believing it! Second, I want your feedback so that we can keep improving these Busy Mamas studies. I know after our last study, we received several suggestions that I really would like to implement, but with all the post-move chaos we’re still dealing with, they didn’t happen during this study. For those of you who had trouble figuring out how to use the Blue Letter Bible app, you will be happy to know that I plan to include links to instructions for using the app for different assignments. We’re giving away one $50 gift certificate to the winner of this giveaway. She will be randomly selected after midnight, Monday, December 7. To enter, simply answer one of the following questions (or answer each question in separate comments to enter more than once). You can enter the giveaway, even if you didn’t study with us, or if you haven’t completed the entire study yet. What is one thing God taught you through your study of Romans 8? What would you change about the study, and why? If you didn’t do the study with us, what are your studing instead? Thanks for your input, and I pray you will continue in the Word until we meet again in March for our study of one of the Psalms! God’s blessings to you all! Oh, yes! I almost forgot! 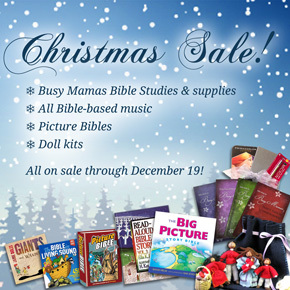 Doorposts is having a special sale right now that includes some of the print versions of Busy Mamas Bible studies, Moleskine notebooks, children’s Bible story books, music, and much more! Check it out! I am working on an inductive study right now in Hebrews and As Unto The Lord. I plan on coming back to Romans! It was a beautiful study. The study helped me along the way to a point I was already going that we have to forgive ourselves or we say God’s forgiveness is not enough. There is truly no condemnation. I appreciated the “For Children” section. This allowed my young daughter a means of studying the same passage as Mama. This reinforced what I was learning (you have to know your subject to teach the subject), allowed me to model studying the Bible, and most importantly, gave me explicit directions for what to do and how to make the passage understandable at her level without much prep work. This was greatly appreciated. I have been working thru Jeremiah right now and am just beginning the Romans study. It is amazing to me how often we choose to not listen to God. I really was comforted as I saw that creation groans waiting for its redemption. I appreciated the reminder that all of the struggles and trials we face are so temporary and compared to the glory to be revealed are “light affliction”. I loved how you brought in “Joy to the World” in this context! It gave me new courage and resolve ,as I often come face to face with the effects of sin, to live life knowing that one day God will make all things new and I have to walk faithfully and steadfastly in the meantime! I have tucked each and every lesson away and have been reading and recording Romans 8 every day. I would not change anything about these studies. My only suggestion might be to make them Monday to Friday with the weekend to catch up. While I have been following along and intend to dig int o Romans 8 soon, I have been in a Bible study about Lies Women Believe. I learned during this study (I’m a few days from finishing) just how much help and care I have in the Holy Spirit. It really impacted me that he isn’t far off, that he helps WITH me. So comforting to know that the Lord’s Holy Spirit is so close. There is really not much I would change about the study. Maybe a video teaching occasionally? 1. Just last Sunday, I was working on my study and reread verses 26-28, I believe, that talked about the Spirit interceding for us when we don’t know how to pray and that he prays according to the will of God. As I was contemplating that in my current situation- 41-42 weeks pregnant with my 5th kid, having never been late before. We were praying and praying that this baby would be born each day and each night. Studying those verses in Romans reminded me that the Spirit was praying for us- according to God’s will and timing for our baby and not man’s schedule or even our schedule. That He was praying just the right way! What a blessing!! Thankfully, our baby was born two days ago! 2. One thing I might like to see done differently is using more study resources. In past studies, it seemed we used several different study websites. I really like and appreciate blue letter bible and use it on my own sometimes, but I’d like to see some other featured in this study as well. What a blessing it has been to me to study Romans 8! God has impressed on my heart that there really is NO condemnation for a saved person. This has helped me personally in dealing with guilt – either self-imposed or others-imposed. By the same token, it completely removes any right I have thought I had in judging/condemning others! Also what an assurance and security of salvation I found in verses 35-39! I plan on using those verses from now on when encouraging new Christians! I am working on scripture memory and writing verses each day. I have done several of your studies in the past and love the style of them. I am 39 and still have not read the entire Bible so I am still trying to work that goal. As a busy Momma of 9 I have taken my 2 year Bible and split it up into 3 days. I do this so I can read and then think about what I read. So, effectively, I am taking notes as I go. I am also doing a Bible study with some friends-The Excellent Wife by Martha Peace. I truly appreciate the way you emphasize the indescribable gift that God has given us in Christ Jesus, not only in this study but in some of your other ones as well. 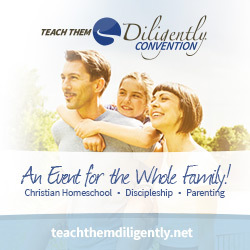 Everything I learn from your studies sinks deep, and I’m able to use it as I disciple my children. I still have a lot of catching up to do to finish Rom 8, but I’m thankful for the wisdom the Lord gives you that you then share with us. I hope this doesn’t sound harsh. I only say it because I love the studies. But one thing I would change is the title. These studies are great for my teen daughter and would be great for women of any age, not just those with children. Maybe there could be versions with different covers and without the children’s study. I loved the Romans 8 study. I still marvel that God would lavish me with His amazing love, a rotten sinner. There is nothing that can separate us from His love…. I wouldn’t change how the studies are done. My only challenge is finding enough time to do the studies daily, so I fit them in when I can, and enjoy them when I do. I have not completed the study, but I love your 30 days studies. I do wish that there was a link on the blog to print them without the pics. I am not always able to sit down with my computer, so an easy print version would be great! I have learned from Romans 8 many truths. The most important one is that I am not condemned because I am in HIM. It is HIS righteousness that saves me from condemnation. I don’t have to live in fear that when I falter I’m doomed. Along with Rom 8, I sometime alternate reading through the New Testament and Jesus Calling (devotional). I am very thankful for the heart of all of you at Doorposts and that you provide these studies….whereby I am blessed. I love the addition of what to share with the children. Perhaps there can be a once a week (during the 30 days) that we proactively bless our husbands in some way as well from what we are studying/learning. Still working through the study (it always takes me longer) but one thing jumping out at me is the context of the end chapter verses that are so familiar. Vs 31-39. Put in context of the beginning of the chapter they just take on so much greater meaning. God has condemned death and sin instead of us so truly who can be against us or who can separate us from the love of this conquering yet loving God? We can trust Him! I have enjoyed each day waking up and visiting your blog for the next instructions. This has been my first study with you, and i have learned some important truths about God. One of these truths is the Spirit is bearing with our spirit (v16). This continual process is what makes our sanctification happen, it is Christ not me. Another truth is that our sufferings are not comparable to what is to come (v18). When i am groaning about my trials i can know the glory will one day be revealed. I also learned how to use the Blue Letter Bible, which has been a helpful tool for this study. Thank you for the time you spent each morning putting this together. This year I am reading through the Bible, so I was not able to keep up with the Romans 8 study. I plan to continue to work on it at a slower pace. I am studying the book of Acts with my children as we home school. I found this study late, but hope to read thru it asap. Having read and reread this chapter so much this month, I was equipped to diffuse my son’s frustration at suffering bad asthma symptoms these last two weeks–our sufferings in this life are brief and they work together with our blessings to produce good in our lives and one day we will be glorified. I haven’t done the Romans study yet but I plan to go back to through the blog after I finish Galatians. Thank you for writing these studies! I am studying through the book of Matthew with my boys right now. I didn’t do the study because the daily emails were only notifying me of their arrival intermittently so I was behind from Day One. I’ve doing the First Five Devotional that is an app on my phone with an alarm clock so I set it and it would pop up on my phone. This study helped to reiterate to me that our enemy is defeated and I am free in Christ. It is such a wonderful truth and one I need to be reminded of often. I haven’t done the Romans study yet. We are working through your study on obedience right now and we love it! I share your website with friends all the time. Thank you for your obedience to God in writing these! I did the study and am now going to go back through “The Power of a Praying Wife” after digging into Romans 8 a little more. Thanks again, Pam! I haven’t done the Romans study yet, but I plan to do it after the holidays! Right now I am using Advent devotionals in preparation for Christmas! I saved all the emails to do Romans 8 in January! I was finishing up a study on 1, 2 and 3 John and now doing Advent. Thanks so much!! I am still working on Romans. I love reading about what God did for me. I really enjoy the studies. Not sure what could be done to make them better. This was another great study! Thank you, Pam, for sharing the truths of Scripture with us and for teaching us how to be better Bible students. Romans 8 is so full of treasure. There were many things I learned from a deeper study of this passage. However, one thing in general that I learned was how simple drawings in the margin of my Bible can add so much to my understanding, memorization and enjoyment of the Word. Thank you for encouraging us to add them! Still plugging and chugging through the study but loved reading the commentary on verse 26. I might have known this before but it really hit me yesterday when I read Chuck Smith’s commentary about how the purpose of prayer has nothing to do with accomplishing my will & EVERYTHING to do with accomplishing God’s will & that prayer is the means for me to get in sync with God’s will. God taught me through this study that I can (and must!) take the time to thoroughly study His word without completely wiping out my schedule. One thing I would change is I would like some sort of printable so I can do the study without my computer. Sometimes I need to do my study someplace else and it would be nice to have that option. I have learned so much from this study so far (on day 22 right now). I enjoyed learning about the Holy Spirit’s active presence in my life, both within me and alongside me everyday. I found it comforting learning about how involved the Spirit is the life of a Christ follower. I also have been challenged by the whole “there is therefore now no condemnation for those who are in Christ Jesus.” God’s mercies ARE new every morning and I am so grateful!! Thank you so much for your ministry and giving of your time and talents, especially with all that you have going on at this moment! I’m on Day 23 just soaking in God’s love! Romans 8 was not a new chapter to study for me but this time thru I have really been overwhelmed with the depth of God’s love for us and my faith has been strengthened. Thank you for facilitating that with this study! I haven’t participated in this study the same way I have in past studies because I had been doing another study before this one started. Using the skills I’ve learned in past studies, I had been doing a topical study using my concordance on fear/anxiety/worry. It was great! The best thing about it was that my study led me to Romans 8:28-39 and I found so much comfort in those verses that I worked hard to memorize them. I was so excited to hear the new study was going to be Romans 8. I am only about half way through this study but I am planning to challenge myself to memorize the rest of the chapter because of all I am learning from it. Thank you!! It is difficult to think of something to suggest changing about these studies. I guess the only thing I can think of would be to extend them past the 31 days because there are always a couple days that take a good amount of time to get through. I usually just save the emails to a folder and go through them at my own pace so this is not really a problem just the only thing I could think of to suggest. Thank you very much for all the time and heart you put into these studies. I have learned so much, gained Bible study skills, & grown in my faith by going through them. I didn’t get to do the Romans 8 study as I’m currently studying Colossians. I have done the Isaiah 53 study and it kindled my passion for studying God’s word. I am saving the Romans 8 study emails to do in the future. I truly appreciate these studies and have used the study techniques and blb resource for my Bible study now. Thank you so much for doing these. As a young Mom I look forward to doing the children’s section when my kids are a bit older. Thank you! Thanksgiving week really derailed me and I am still behind but even on the days I didn’t have time to dig in, I took the time to read the chapter and I have memorized more verses together than I have in 20 years. What has really hit me hard in this chapter (that I’ve read at least 25 times before and never seen) is that God, who gave us the gift of His Son, is sitting next to that Son, who is constantly interceding for us, and listening to the Spirit, which is praying for us! (oh, the tears are starting!) ALL THREE ASPECTS of God_love_ me and are working together to make certain I remain blameless so I can make it to heaven and be with Him. Astonishing, amazing, awesome! Your Isaiah study was so wonderful, I was hooked. My Bible is a wonderful mess and I am loving it. Each study since has been a joy to work on, I may not finish “on time”, but they get finished. Thank you for the time you put into this. I really like Blue Letter Bible so I was pleased that you use it. I am grateful that we do have the Holy spirit interceding for us. I am grateful that Christ has no quarrel with his spouse/church and loves her/us always, despite our short-comings. I am grateful that we are always forgiven and are given the faith to believe and the trust to accept that from Christ, rather than relying on ourselves for forgiveness, which is impossible. Thank you and Merry Christmas. Will you be having Christmas dinner on the driveway = )? I hope things have settled a bit after all the adventures you’ve had recently. I was studying Restless by Jennie Allen with my moms group. It was about how God used Joseph for good, in his places, people, dreams, talents. And how God wants to use us in those areas of our lives too. I have really enjoyed the Romans 8 study, but I have not yet completed it. I started late as I was finishing up your Proverbs 31 study & then traveling for the holidays with little internet. But it has been a great study, especially since we have been studying the Holy Spirit on our Wednesday night Bible Study at church, so it was a great parallel. Thank you for all the hard work you put into these studies for us. I started this study but didn’t get finished. I hope to get back to it. I haven’t found the best time to be at the computer uninterrupted so that I can focus. =) Thank you for all the time and thought you put into these studies to help us! I did not get in on this study of Romans 8, but recently finished Doorpost’s Psalm 37 study. I really like the results of the lesson that had the student draw pictures in the margins of Ps37 that corresponded with the verses. I love to leaf through my Bible and catch a glimpse of those colorful pages and be reminded of all I learned in that study. Today, I began Kay Arthur’s study Lord, I Want to Know You, on the names of God. I am still working on your Philippians study, as well as Tabletalk’s study this month on Contentment and love in the marriage relationship. Thank you for the studies. I am encouraged that I will never run out of things to study! Thank you also for the Romans 8:1 poster. I have the Isaiah graphic on my wall, and every time I look at it I am reminded of the study. How wonderful if you offered a graphic for each study. I would eventually have a wall full of wonderful Scripture and reminders of wonderful studies. I need to hear the message of no comdemnation in Christ EVERYDAY!!!! I have a hard time saying what I would change about the study. I did realy good tracking with the first week or 2. But when the lessons got longer, I had a harder time keeping up. It took me 3 days to complete lesson 17. Once I gave myself permission to go slower and soak it in at my own pace, I felt better about it. But once i start to get behind I get a bit discouraged. I think I would like more memorization helps along the way. Ways to add physical movements with the verses. I know some in the group are good at sharing their ideas. I guess that is one thing you could change. BUt I love the format, the teaching of how to study, the texts that you pick for study, the catch up day, the songs, the use of commenaries etc. Though our church recently studied the book of Romans every Sunday for the last 2 years, I plan to go back and study it again through your emails! But first, I have to finish studying “Systematic Theology” by Waine Grudem. I currently am working on your Colossians 3 study. I plan to do this afterwards. Never, ever, never give up…The Lord is always with me in charge. Take 15 minutes to do these three things. I often get discouraged that I never finish on day before the next … I know it’s not a competition, but I feel like a failure when it takes so long. I wasn’t able to go through this study, though I’d love to come back and do it because I love the teaching on how to study so deeply in one passage. I’ve been studying Ecclesiastes recently and find it so much more meaningful now than when I read it years ago. Now I’m often tempted to think that as I just keep washing the same dishes and disciplining the same sins, I’m only chasing after the wind. I stopped since I was so far behind. I read John and Luke. Thank you so much for doing these studies! You are a wonderful example to all of us busy mamas! I didn’t get to do this study because I’m currently trying to finish up my reading of the Bible this year. Been reading in Daniel, psalms and proverbs and the letters of John right now. God bless you and Merry Christmas!! I appreciate having a study with steps to do everyday. It helps guide me and in a way be accountable to doing it everyday. I also appreciate the children’s lessons because from this one about the cake and ingredients working together and the one in Psalm 37 about where you “camp out” I get a good image in my mind of how I can communicate that truth to other people which is helpful to them. One of the many things I gleaned from Romans 8 was in looking up the meanings of the word Justified. For all my life I have thought that I was wrong. Not my thoughts wrong, or my words or opinions, but just that I was wrong. God has made me right in justifying me. such a new perspective on life. I am continuing to memorize the whole chapter. Thank you so much! I have been meditating on passages relating to the first and second advents of our Messiah. Passages specifically worded with, “…I come…,” “…I am come…,” and “…I came not…” Our family moved into a new (for us) house recently as well, and we had a wedding (2nd son…16 more weddings to go, oh boy…). I am really looking forward to deeply savoring this Romans 8 study as life slows back to ‘normal’ for us. God’s bountiful blessings to each one of your precious family. I am so thankful for your faithful ministry, so thankful! I have done several of your studies but did not do this last study because I had just completed a Romans 8 study on John Piper’s site “Look at the Book” through Desiring God. I enjoyed learning more about the Holy Spirit. I have never really studied that before. I’m doing a Bible Study on Galations right now! I’m currently doing a great Psalms study, but would love to do one of your studies in the near future. I would love the links to how to use Blue Letter Bible app!! I have been doing your study of Proverbs 31. Which I love. I really like the children’s section and how we can be studying the same thing. It makes for great teachable moments in the day for all of us. I learned how being in the spirit is an identity which changes how you live as you walk by faith in belief of this. I would change some of the kids sections to be more for older elementary or middle school. I didn’t participate in this study but I did save all of the emails so that I can study it on my own later. Right now I am studying Unglued by Lysa Terkeurst. I did not get to do the study this time around but I have saved it so that I can start it Jan 1. I haven’t really been doing an actual study of any kind but I have been reading my bible, currently I am in the book of Samuel. I started an advent study this week. I learned that God covers me–no matter what my past. He does not condem me–He forgives me! 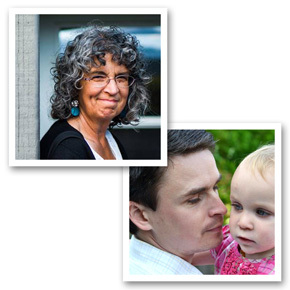 I started the study–but a death in the family and Thanksgiving put me behind! Hoping to still finish it though! I wouldn’t change a thing–but I REALLY like what you already mentioned–about doing more of a tutorial on using the Bible app! I absolutely love the little bit I figured out in how to use it, but feel like there is so much I still do not know in what it can do and how it can be used in a study! The only thing I would change would be to offer a pdf that I could print off and put ina notebook to do later . 🙂 or I just purchas the book! What I appreciate is that you send it in a daily manner. I did part of the study, and it was wonderful just like they all have been. The only thing I would change is my own ability to be consistent and continue with it. God is teaching me that I need to be more focused on Him and rely solely on Him throughout my day and life! I am also studying all about the tabernacle while the Israelites were in the wilderness for 40 years. The intricate details of it continually and beautifully point to Jesus Christ as our Savior and what a beautiful, powerful, saving God He is! It is amazing to see the correlation and just how God is present through everything! I don’t know that I would change anything about the studies except maybe shorten some of them (although I know when we go in depth it takes longer but we get so much out of it!). Being a homeschooling Mom sometimes it is hard to sit down and get the study done. I do LOVE the section at the bottom to do with the kids – it is such great reinforcement for me and a great teaching tool for them! LOVE these studies!! I have thoroughly enjoyed the Romans 8 study! I haven’t finished yet bc I got behind during Thanksgiving but am looking forward to finishing! The only thimg I would change would be to have a printed copy. I wasn’t always able to accesthe internet and it would be nice to have an actual book to take with me and study. I really appreciated reading the chapter each day with a different focus and emphasis. I am studying Revelation right now and fell behind in Romans but plan to finish. I don’t know that it was something that I didn’t already know but I was reminded and went deeper with the “all things”. It really reminds us how comprehensive God’s love and care and salvation for us is. I learned (again) that God’s love is limitless and beyond comprehension. I need to continue to strive to have that love in my life, especially with my children. It may be nice to get new studies every other day and have the study last for a bit longer time. I found myself scrunched for time a bit more than usual this time around. When I’m not participating in Busy Mamas Bible Studies, I read through the Bible and Bible commentaries. Thank you for another awesome study! I would not change a thing…. except on catch up days. Instead of giving an optional study, maybe just recommend extra review, prayer and meditation. Because I will be honest, even if I am behind, I feel I need to do the optional study as well!! LOL Blessings on your ministry and business!! I was so encouraged by Day 19- the in depth study of v. 26. Dissecting the words “helpeth” and “infirmities” has given me a whole new appreciation for the work of the Holy Spirit. What comfort to know He is beside me- accompanying me- supporting me- partaking with me in all my physical and spiritual weaknesses. And He is meeting with God on my behalf with the perfect prayers!! So thankful! Didn’t get to participate fully in this study, but am going through a study on being a helpmeet. thankful for all of your studies though, excited to work my way through them all! One of the things that God has taught me through this study is that God has declared us joint-heirs with his son, Jesus Christ. All that he has is ours! There is not one thing I would change about the study…just please, keep them coming! We are working through the put on chart right now with our young children and they are loving it! I plan to start the Romans study when we finish. I love these studies! I wouldn’t change a thing! I think the thing that stuck out the most to me was that nothing can separate (divorce) me from God’s love. It was such a good word picture. God is teaching me, by continually reminding me, that it is not I who chooses to live by the flesh or by the Spirit, but that God has freed me from the law of sin by the law of His Spirit who lives in me because of His purchase of my life through Christ’s blood. No, I don’t live life perfectly, but when I start heading down a wrong thought path or mess up in some way, I am quickly brought to remember this truth and to turn to Him in repentance and then enjoy full victory! The fact that He loves me this much, to lead me in this way, is so encouraging! And the assurance that nothing can separate me from this love just shoots my confidence in Him to even greater heights! This detailed study of Romans 8, which I have not completed fully yet, is truly setting my mind and life in a higher place for the glory of Jesus Christ! All praise to Him and thanks to you! I’m still finishing up the last few days, but so far the things that have stuck out most to me and affected me most are getting a deeper understanding of ‘no condemnation’ that it’s not just for what I’ve done in the past but it’s for past, present, and future, and the renewed comfort that everything works together for my good. All those things that could by themselves do me in are working together. What I would change… because I was new to Blue Letter Bible, I wouldn’t have minded seeing the full instructions for the first few days it was used. Now that I’ve used it, I didn’t need to keep going back to the original post to figure it out. 🙂 It was a great study! Thank you so much for your work in putting it together. I would say the thing that stuck out the most for me was in 8:18. I am continuously reminded how I need to renew my thoughts. To change the way I think. I notice that I am more likely to think in the negative. Oh I can’t eat this or I can’t do that. I realized that I have believed the lies of the enemy. To “consider that the sufferings of this present time are not worthy to be compared with the glory which shall be revealed in us” can only be done through the daily washing of the word, meditating on Scripture. Thank you so much for this outstanding Bible study. I got so much out of it! I actually enjoyed doing this more than a Kay Arthur and Beth Moore Bible study. This helped me to really dig into the meat of the word. I tend to find the other Bible studies to be very superficial. Thank you and God bless! I’m studying the attributes of God right now, with The Knowledge of the Holy by Tozer. What a great God we have! I am have been going through Colossians and just started Galatians…two books I have not read in awhile but am enjoying so much. I’ve been lingering on several verses that have spoken to my heart. Reading, underlining, writing and memorizing. It’s been refreshing. I love these studies. They are applicable, easy and I always learn so much. I’ve been inspired to do more word studies on my own because of these. Not to mention it’s just so great to realize how doable deeper study is thanks to going through your studies. The only thing I would see changed if possible, is to see the assignments be a little smaller….or the same information spaced out through a month and a half. I never can seem to get my studies done in the short time it’s says it should take. I always take longer and end up behind or not able to finish. Am I the only one that has this problem? I am studying 2 Corinthians right now through my church. Thank you for taking the time to put together these thorough & useful studies! I memorized Romans 8 several years ago and haven’t done your study yet though I saved all the e-mails and plan to do it in the near future. One thing that impressed me about the chapter when I memorized it is the importance of mindset-fixing my mind on the Spirit instead of on the flesh. What I have been studying independently recently is I Corinthians and we are studying selected Psalms for a SS class. The part where we had to teach our kids Romans 8:1…I didn’t realize how often I felt condemned by scowls of those around me. It was really encouraging to remember that even when I messed up and was “condemned” by family, I could have love in Christ. Thank you. I started doing the study with you; however, I didn’t continue. I would like printables (if you do more studies) so I can work away from the computer. I did enjoy it though. I saved this to the side for another time but right now my husband is going through the big Character Sketches books with all of us. It is amazing how important character training is to keep a house full of kids working together. Prov 24 paraphrased: I learned a lesson from the ground covered in weeds, a simple folding of hands and poverty will come. We have been studying Revelation. We had a most interesting discussion about the second 144,000 mentioned in Revelation. Although we have studied Revelation several times in the past, I heard explanations that were entirely new to me and lead me to study the verses even more. I am still working through the study, but so far God has really impressed me with the importance of perspective. Our trials really are light and momentary. I tend to complain and worry way too much, and this is something I need to constantly remind myself of. I am currently finishing up the Busy Mama study on Colossians 3! What keeps coming back to me is 3:1, “keep seeking the things above, where Christ is seated at the right hand of God.” I can’t wait to begin the Romans study after Christmas. I am working my way through Knowing God. I’m towards the end of the book, and Packer is writing about Romans. I’m looking forward to doing the Romans study and dovetailing it with what I’m learning from Packer’s thoughts. Thank you for doing these studies. I appreciate the work you put into planning and organizing the studies, and the focus on inductive study. I am currently studying with Good Morning Girls, but just stumbled upon your website tonight. 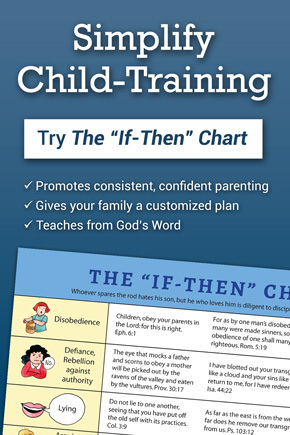 I can’t wait to go through both the Child training study and the Romans 8 study! What a beautiful ministry you have! Had a great time with the study of Romans 8 can’t wait for the next one. I learned a lot, but was excited about discovering the new resources like the BLB and scripture typer apps. They have really helped me. I’ve been doing a different study through Romans and was excited to see this study (I just got to Romans 8 this week). I plan to come back to this study later. Thank you for beginning the study with an overview of Chapters 1-7, cause that’s what the “therefore” in 8:1 is all about. I’ve printed your lessons out for my teen daughters, but they are still several weeks behind. Thank you for working so hard on these studies. I learned so much in the Romans 8 study! I think the main thing the Lord wanted to show me was that I am not a failure because I don’t get everything right. That what Christ did on the cross has paid it all and when I do make mistakes I can take them to the foot of the cross and freely ask for forgiveness and ask for his guidance in continuing to sanctify me. I do not have to beat myself up over it. I don’t think I would change anything about this study I thought it was well laid out. I saved all your emails but right now we are doing the online study with Kay Arthur and Precept Ministries called “Israel”. I’ve been using Precept materials for almost 20 years. Your style of inductive study is very similar and why I like your studies so much. What is one thing God taught me in Romans 8? He is my righteousness. There’s no condemnation for those who are in Christ Jesus- which is where He put me- I didn’t put myself there. I’m just happy to receive what He’s freely handed/is handing out and happy to go about my vocation joyfully which is where the preaching is- on my mouth and with whoever I find myself around. I’m glad to be found again in Christ. Currently, I’m on a “read the Bible in a year plan” if that qualifies for a study. You have taught me so much! One friend calls me a “Doorposts groupie”, haha! I’ve most enjoyed using the commentaries on BLB more than I’ve done before, but I also really appreciate your notes throughout each day’s lesson, your questions and encouragements on what to meditate and pray are beautiful. Thank you! Repeatedly I notice how He WANTS us to be like Him. First God created mankind ” in our image”. Man fell away from it. Jesus came to redeem us by taking our condemnation. V 29 “Whom he did foreknow, he also did predestinate to be conformed to the image of his Son”. When we acknowledge and accept this provision He places a part of Him within us, the Holy Spirit, who is our Mediator. The Trinity is involved to give us everything we need to become righteous like He is. I don’t know how I would change this study format. I appreciate your methods, layouts and challenging thoughts and questions. Lately, I have been asking God some very specific questions. One of the questions is about once in grace, always in grace. This study in Romans has helped me, especially verse 1– there is no condemnation. I thank you so much for sharing your gift of Bible study. I learn so many things from your studies. I have no complaints! I did the Romans 8 study, and was able to keep up this time! However, I haven’t completed all the lessons with my children. I have also been working on a study of the whole book of Romans by Michael Pearl, and I have been studying Revelation (Kay Arthur). I especially enjoy the portion of your studies for children. Thank you! I haven’t done this study yet, but I did save all the emails so I can do it at a later date. I am not studying anything at the moment but my boys and I have been reading through Proverbs the last several months. Will you print the studies you have done Romans and Psalms? I love having the hard copies to share or repeat. Thank you for all your time and effort to make these studies available! They are such a blessing!! blog posts from you in the future as well.